Often, due to timeline pressure to provide material, a process is scaled-up without a complete understanding of the chemistry or potential failure modes. A project team at AbbVie took advantage of rapid data-rich experimentation to build and refine a kinetic model for in-depth reaction insight. This model provided the fundamental kinetic understanding of this late-stage project, explained why the chemistry 'works' so well, and allowed the project team to scale-up with confidence. 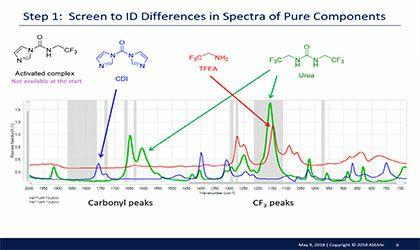 This presentation explains the steps of the process of receiving the project from the API team, the goals, the approach to use FTIR spectroscopy for kinetic modeling with Dynochem®, and the overall results and benefits from using these methods and techniques. Ultimately, the inline FTIR univariate quantitative model from the lab instrument was successfully used at the pilot-plant scale using process FTIR. Who Should View This Presentation? Process Chemists and Chemical Engineers working in the Pharmaceutical and Chemical Industries as well as in Academic Research. Eric Moschetta obtained his BSE in Chemical Engineering from Case Western Reserve University and his Ph.D. in Chemical Engineering from Penn State under the guidance of Rob Rioux, studying kinetics and thermodynamics of liquid-phase interactions that are fundamental to organometallic catalytic mechanisms. He then moved onto postdoctoral work at Georgia Tech with Chris Jones and Ryan Lively, emphasizing molecularly-structured materials for liquid-phase catalysis, CO2 capture, and separations. While at Georgia Tech, Eric was part of the Center for Selective C–H Functionalization (CCHF), an NSF-funded center for cross-functional collaboration among chemists and engineers to drive innovations in C–H functionalization chemistry. 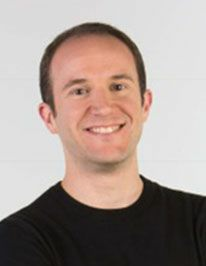 He worked closely with Huw Davies’ group at Emory University to design hollow fiber reactors for heterogeneous catalytic reactions, including C–H functionalizations, in flow. In 2016, he joined AbbVie and is currently a senior scientist in the Center for Reaction Engineering as a Center of Excellence within Process R&D. His current research interests include continuous flow processing, kinetic modeling, photochemistry, and antibody drug conjugates.